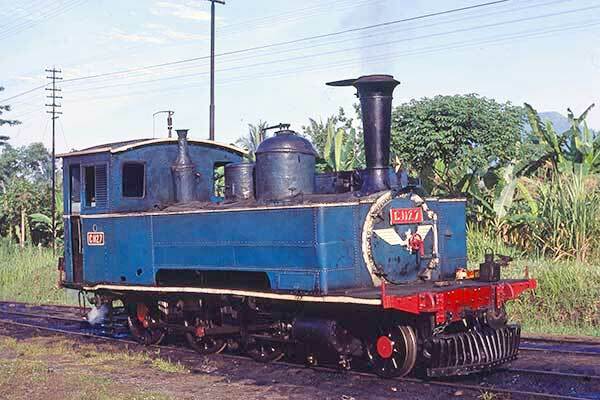 Caption - C1127 stands outside Cibatu loco shed in morning sunshine. The blue livery was non-standard. Built in 1890 by Hartmann this 2-6-0T spent most of its day doing nothing like many steam locos in Indonesia at this time. However it did have some shunting to perform for an hour or two a day.